The CUT Series uses a pillar type cutting block for high speed, accurate cutting to 350–450 pieces per minute (35-40 Meters per Minute). An AC Vector motor drives the cutting knife. A TD Converting Station features 75* and 90* horizontal perforation units. The PLC control system is standard. The servo film transport motor produces cut sleeves with an accuracy of +/-0.1mm. The CUT Series uses a pillar type cutting block for high speed, accurate cutting to 350–450 pieces per minute. 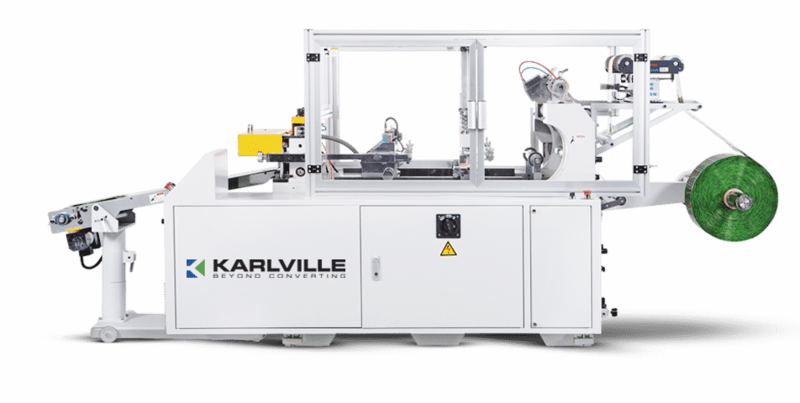 The C1 series is the ideal shrink sleeve cutting machine, that allows converters to offer end users cut sleeves for manual sleeve application.